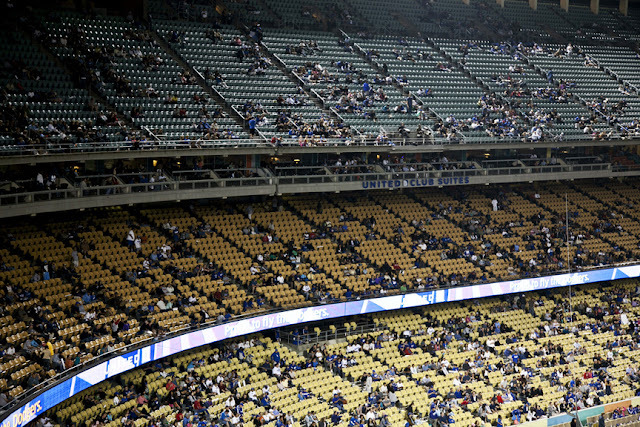 The L.A. Dodgers made quick work of the Astros of Houston this weekend, beating them soundly in a two game home stand. 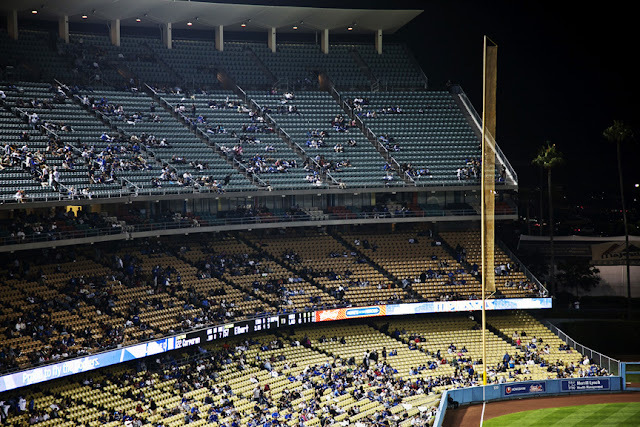 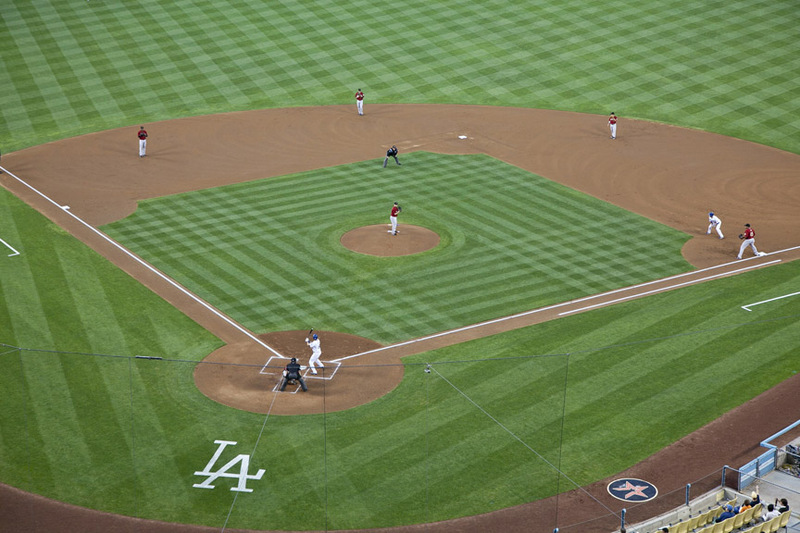 Dodger fans have yet to show, many seats and sections of the grande stadium were left vacant this Saturday and Sunday, during the most mildest summers we have experienced in a long time. 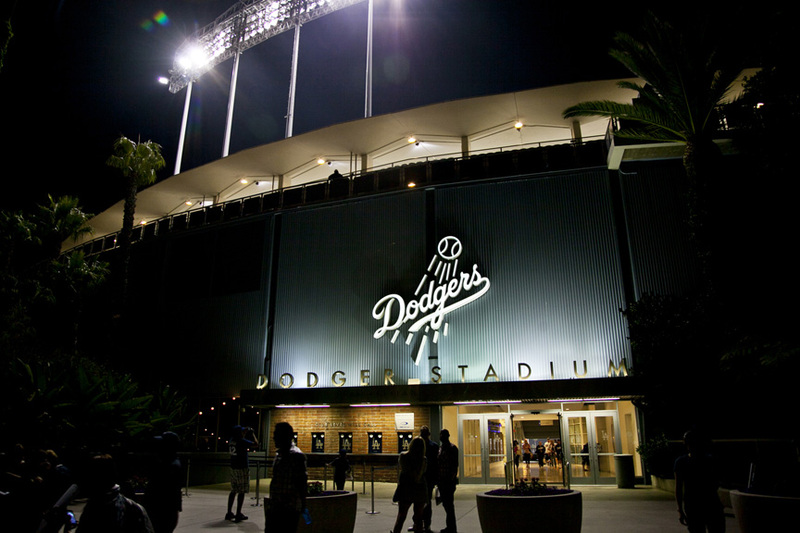 Entering and leaving the parking lot was a breeze, many fans drove away happy with the wins. Lots of empty seats at the stadium.